I originally set out to make a heart block for February’s quilt block. 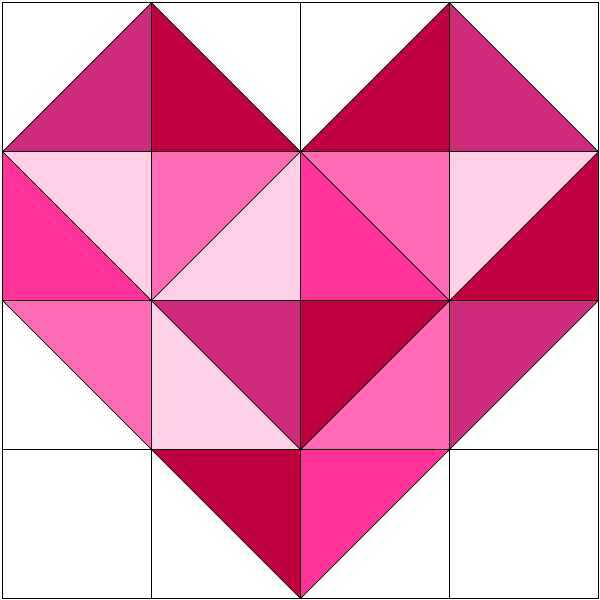 While it’s always a good thing to know how to make a perfect heart quilt block, I chose a different block that has a Valentine’s look without being a heart. For those set on making a heart block, I have a Bonus block below. As I’ve been planning out the monthly blocks, I want to make them in such a way that allows you to create a finished quilt. The goal is for you to make one quilt block a month. 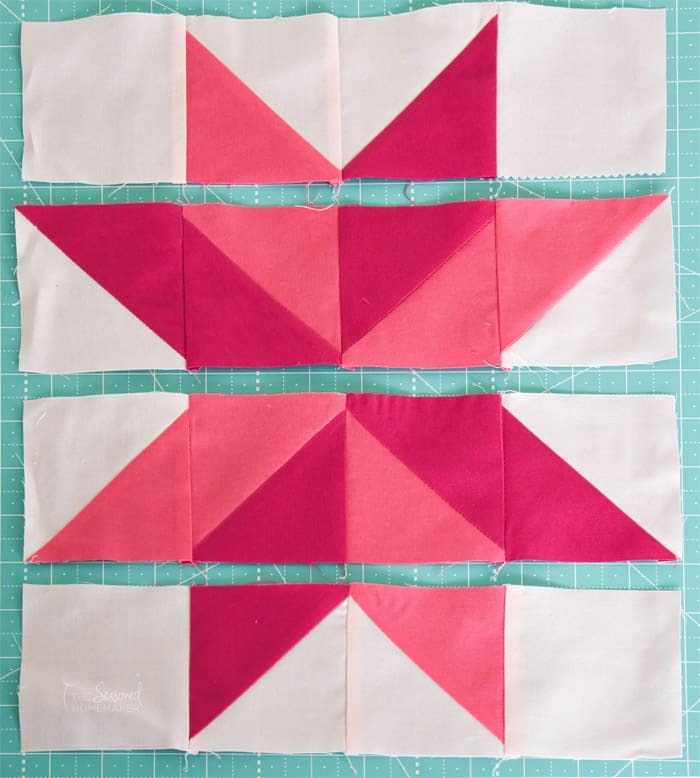 By making a simple star block you can experiment with different fabrics and styles. 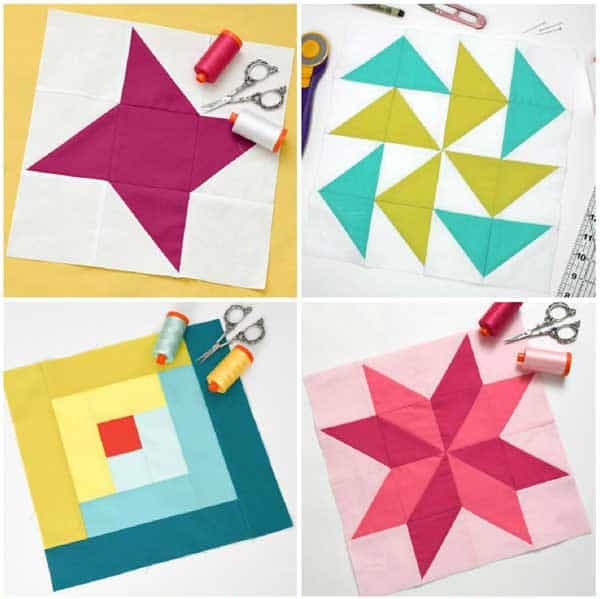 I’ve even included some quilt inspiration images at the bottom of this post in case you want to make enough blocks for a quilt! Technically, this block is named Sarah’s Choice on my EQ8 software. It’s a variable star with a pinwheel in the center. Historically, variable star quilts were popular during the pre-Civil War era. This leads me to believe that star blocks continue to be extremely popular with everyone. Let’s make a quilt block. Cut out the following using the diagram below. NOTE: Enter your email address and receive templates and a PDF download of these instructions. 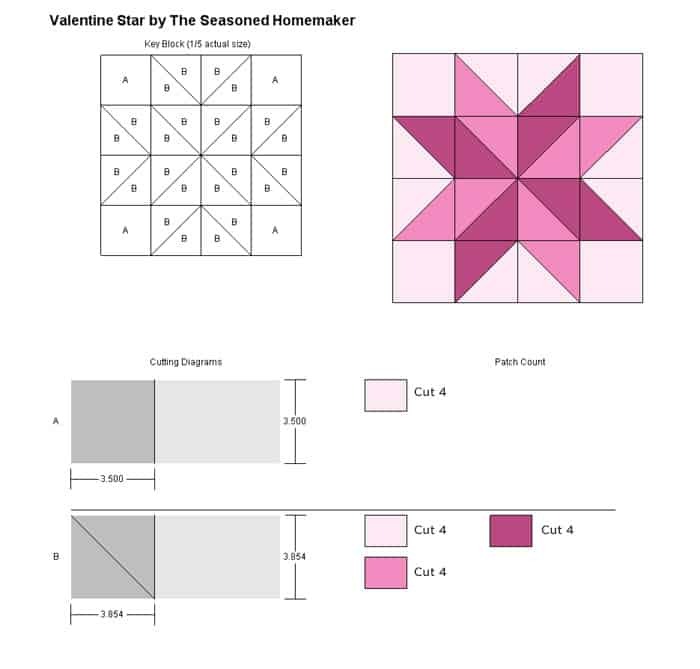 The Valentine’s Star Quilt Block is just a series of half square triangles (HST) that easily go together. Follow these directions to create your own HST’s. Place a light and a dark fabric square right sides together. Use a pencil or water soluble marker, draw a diagonal line from one corner to the opposite corner. Personally, I prefer a pencil, but this will ultimately depend on the fabric you’re using. On both sides of the diagonal line, stitch a scant 1/4″ seam. Using an acrylic quilter’s ruler and rotary cutter, cut along the pencil line. Make two pairs of HST’s from the light pink fabric and medium pink fabric. Make two pairs of HST’s from the light pink fabric and dark pink fabric. 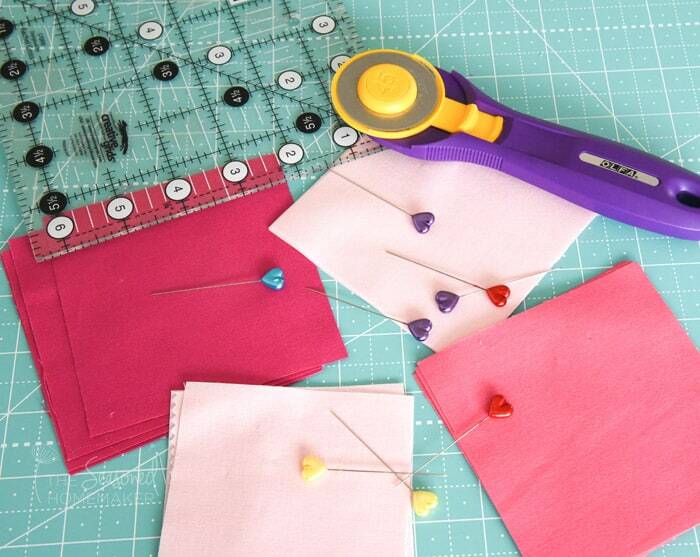 Make two pairs of HST from the medium pink fabric and dark pink fabric. Press the seams towards the darker fabric. I like to use the Clover Roll and Press to avoid ironing until I’m finished. 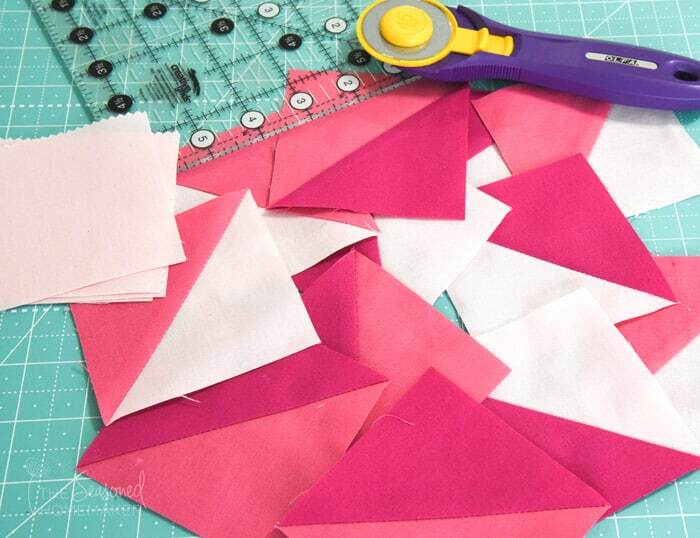 Trim all HSTs to 3.5″. Now comes the fun part – when your block comes together. 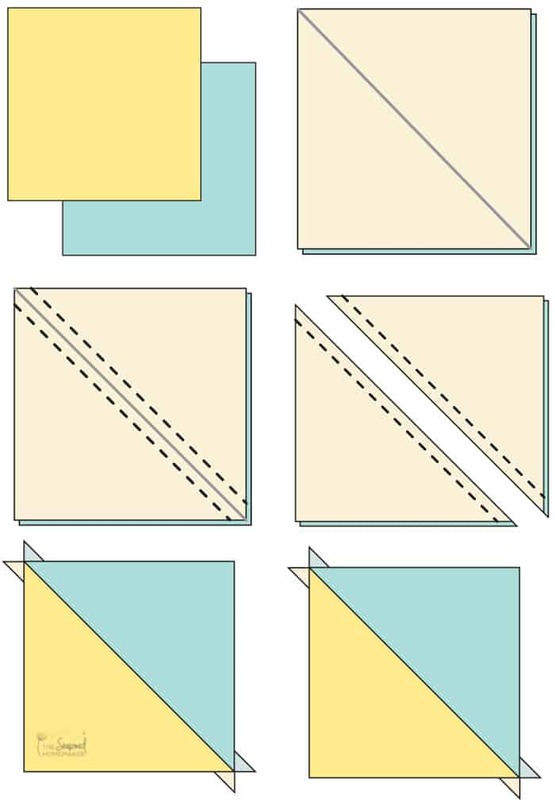 Assemble the block using the image below as a guide. Be sure to nest seams as you connect the rows together. Pay close attention to where the points meet. 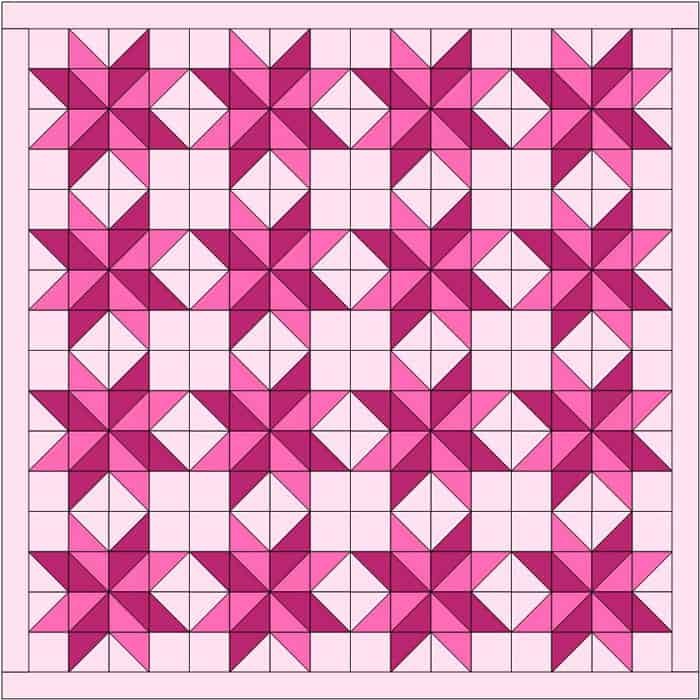 The finished block size is 12.5″ x 12.5″ and it’s designed to go with last months Ohio Star Quilt Block. There you have it. 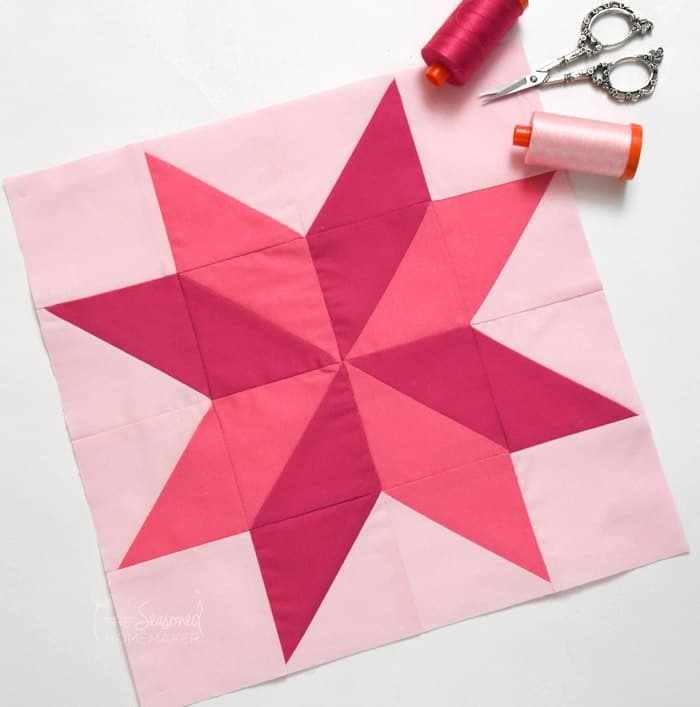 A perfect Valentine Star Quilt Block. If you really love this block, I have a couple of quilt ideas for you. The first is a modern version with lots of negative space. Notice how the pinwheels are now in a new direction. For those of you who love a more traditional quilt, I created this one. Notice all of the secondary designs such as the triangles. This would be so much fun to quilt. I also created this fun faceted Valentine Heart Block. As you can see, it is also a series of HST’s. Follow the same size cutting directions for making the HST’s. It’s a little tricky to put together and there is a some wasted fabric. But I love the way it turned out. These two blocks can be made into fun wall hangings, a sweet Valentine’s table runner, or a fun throw pillow. 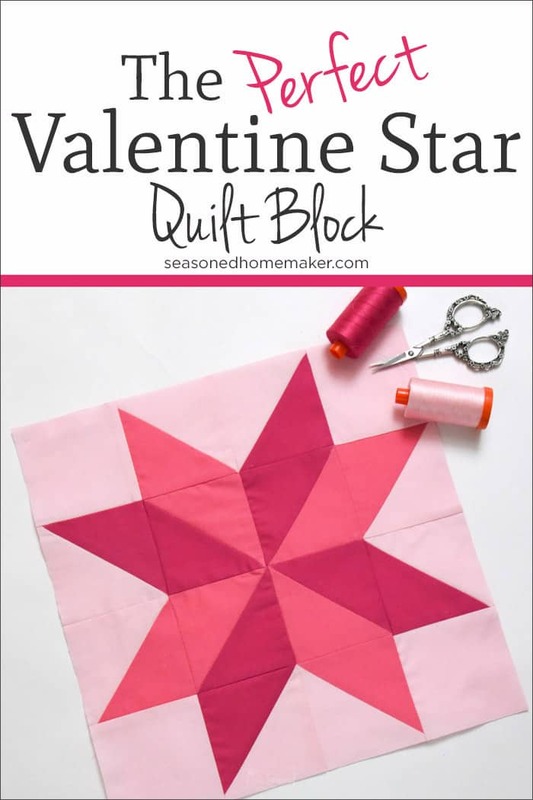 The Valentine Star Quilt Block is a great skill building block and that is why I’m encouraging you to give this one a try. You’ll be surprised at it’s simplicity and versatility. Best of all, it can be made in very little time. 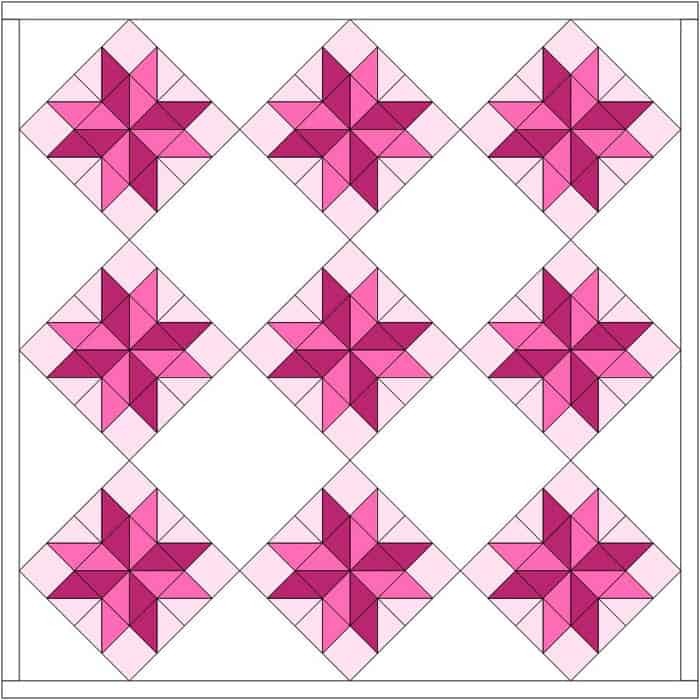 I am using the Ohio Star block to make a quilt for a retirement gift for my friend. I chose this particular block as she is from Ohio. It is turning out beautifully and is in shades of teal and yellow. I can’t wait to try this new block. I am new to quilting but I love this pattern I can actually do this, your directions are so easy to follow thanks for sharing ! 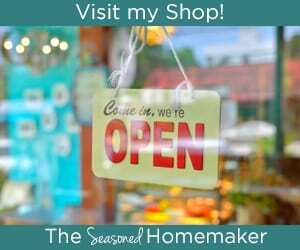 I wish there was a Pinterest link on this page. Would love to pin this with the rest of my quilting ideas. There is a pin button at the top and bottom of every page.